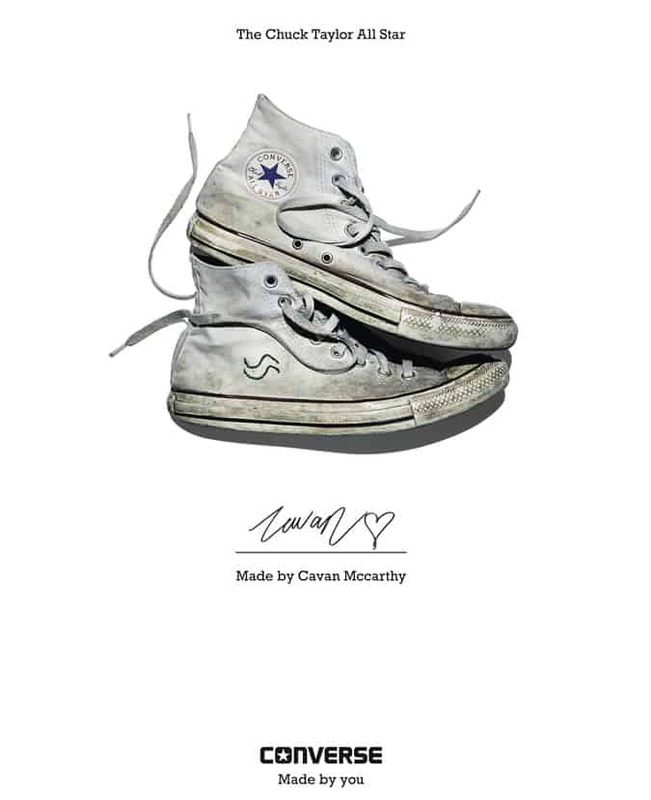 Converse is celebrating self-expression this season, launching a new ‘Made By You’ campaign inspired by customisation of its iconic Chuck Taylor All Star shoe. Capturing the footwear style worn, loved and altered by celebrated names across the globe, the American brand has produced a series of striking portraits to act as the focus of its spring/summer 2015 campaign. 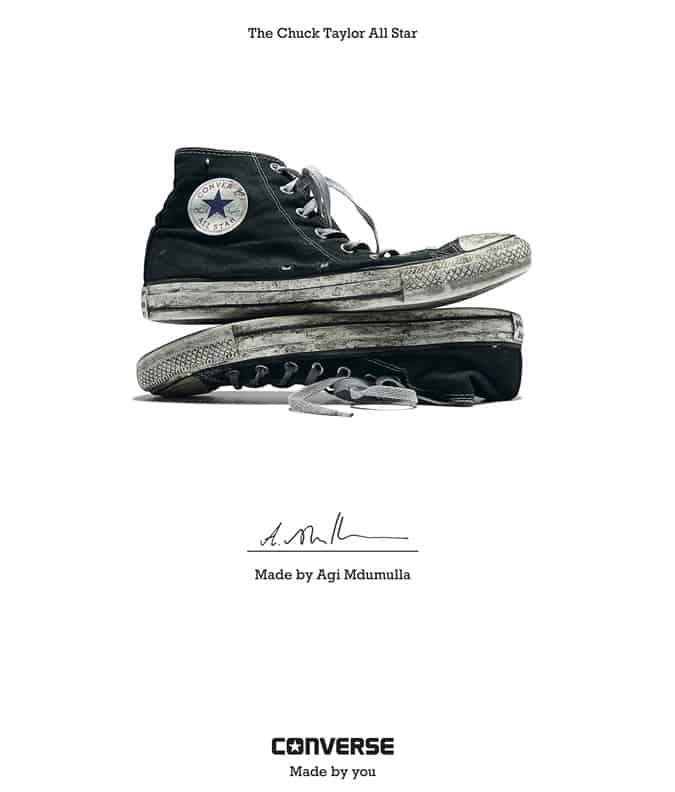 Snapshots of Chuck Taylors worn by the likes of Patti Smith, Andy Warhol, Futura, Jefferson Hack, Sayo Yoshida, Kate Lanphear and Glenn O’Brien sit alongside images of everyday Converse wearers, each telling “a story of transformation from blank canvas to self-portrait of their owner”. These portraits will adorn streets around the world, creating an art gallery-like feel amongst communities. At nearly 100 years old, Converse’s Chuck Taylor All Star shoe continues to be embraced by fashion fans and designers alike, recently being re-imagined by Missoni and Nigel Cabourn. Look out for launch exhibitions to mark the ‘Made By You’ campaign, popping up in New York City, London, Beijing and Mexico City this year.